Apartment dwellers’ preferences are shifting…toward what owners want, new research shows. 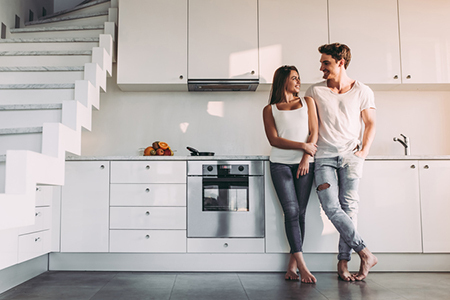 According to the National Multifamily Housing Council (NMHC), an apartment industry organization, convenience, personalization and smart home technology are high on renters’ wish lists. In the NMHC’s 2018 Consumer Housing Insights Survey, 92 percent of respondents believe convenience and ease are important in a rental. Further necessitating the need are the 63 percent of respondents who say they are busy with a “hectic” life. Homeowners have similar tastes—in fact, the National Association of REALTORS® (NAR) found that two generations of homeowners are looking for walkability, and Coldwell Banker Real Estate research reveals 32 percent have incorporated smart technology, including smart locks and thermostats. The ability to customize is also in-demand, according to the NMHC survey. Ninety-four percent believe personalization is significant, and 60 percent believe their home is indicative of who they are. Seventy-eight percent, meanwhile, are after a rental that can be altered easily to meet their needs, whether in the future or the present. Tellingly, 40 percent expect to remote-work, highlighting interest in office space, or, at the very least, reliable cell reception and internet.